Like many recent graduates of the USC School of Cinematic Arts, after graduation, David Litwin ‘10 found himself asking the question, “What’s next?” Following up on a bit of inspiration from his days in the Production Division, Litwin designed and founded Cinely, a website that allows people in the entertainment industry to share their work and find each other for collaboration. SCA Family Stories recently asked Litwin what exactly cinely.com is, how the site helps to facilitate both current and future film collaborations and advice for students looking into the entrepreneurial route. We’re here to talk about your new website, Cinely.com. How would you describe it to someone that’s never heard of the site? 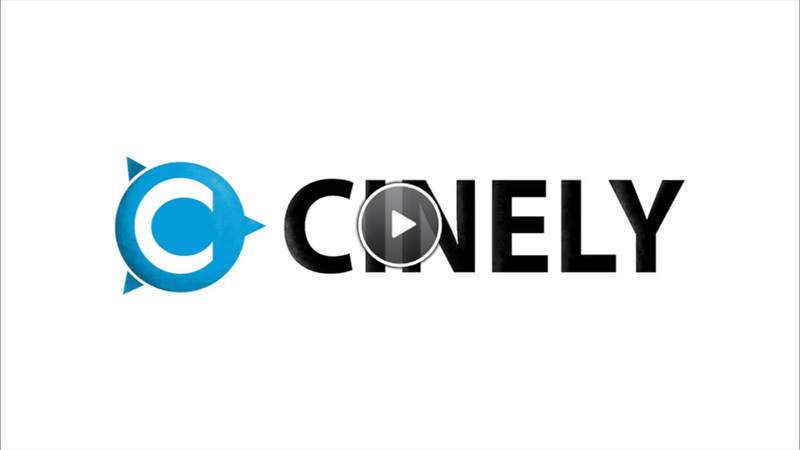 Cinely is a place for filmmakers to connect and collaborate with other filmmakers and find new opportunities. Say you’re looking for a cinematographer-- it’s difficult if you don’t have existing connections to find good people. Cinely is a way to organize talent, for people to go to the site and say, “This is what I need” and find those people and connect with them. The site also provides a way for filmmakers to manage and organize their productions. It lets you share dailies and cuts with your team, collect feedback and organize documents. Would you characterize Cinely as a social networking site? What we’re trying to do is organize this community for future opportunities and collaborations. We don’t see ourselves as a social network, but a lot of the tools as far as organizing and communicating are social. If it’s more than social networking, what’s the endgame for Cinely? I see Cinely as a marketplace for content creation. To allow companies, or bands, or filmmakers to go to Cinely, pitch their idea and get the best content created for them. How did Cinely come about? The original idea came during my 290 (Cinematic Communication in the Production Division) class. I had a couple of projects that I wanted to share with my friends and family. There wasn’t a way to put your stuff on a YouTube or Vimeo, so this really started as an idea to have an internalized video sharing platform. If someone wants access to Cinely, what should they do? It’s available to all USC students, alumni and faculty. They can go to www.cinely.com and use the promotional code USC_BRANDO to sign up. 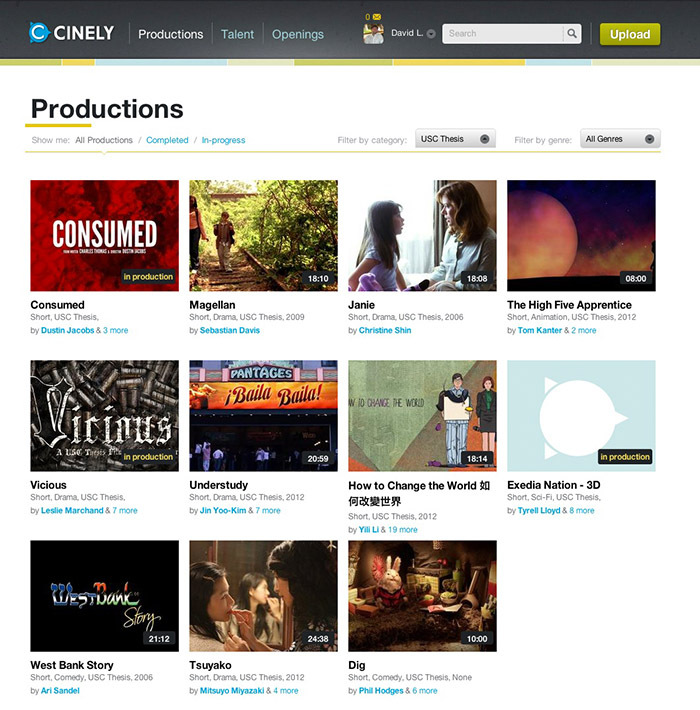 uses that are the most common right now are people using Cinely to find crew for their productions; the second way, which was the original idea, is as a way to share your work and build your portfolio. So if you want to share your portfolio with an employer, or a friend, or a classmate, you can use Cinely to do that. What was your background before coming to USC? 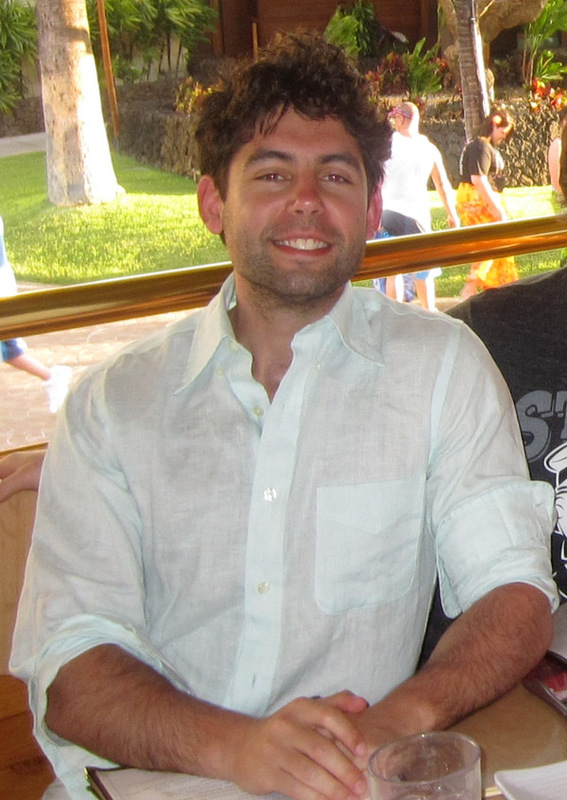 I’m originally from Michigan, and I went to the University of Michigan, where I was studying applied math. I came to USC to follow my passion in film. How did you decide to go the entrepreneurial route? I just saw this as something that I really wanted to build, and the more I worked on it, the more passionate about it I became. I just followed that through to where we are now. Do you see Cinely as fulfilling something that you didn’t have while in school? Sure, I think it provides a great way for USC students and alumni to share their work and stay connected with one another. It is something that I wish I had while attending school there, and I’m glad that current students and alumni now have such a resource. Do you have any advice to impart that you wish you had been told before you came to USC? There are two things. The first thing is that it just takes a lot of time. You have to be passionate about it, because it’s going to add up to years and years if you’re really going after something you believe in and is important to you. You look at a movie, and it’s on the screen for two hours, and you look at Facebook, and it has a billion users; but everything really starts many years before you’ve ever seen it in production. It just takes a long time and a lot of grinding, and if you’re in it for a big paycheck that you think is going to come soon, then you’re in the wrong game. And I think that’s the same with building a business or making a film – it’s just going to take a lot of time, and you really have to be passionate and serious and willing to fail repeatedly and keep going on to do it. The second one is setting goals, and I cannot emphasize that enough. During college, I didn’t set goals. I had ideas of what I wanted to do, but no real goals. Now I have daily tasks that I do, and every week on Sunday, I review the goals for last week and for the next week, and I have monthly goals and quarterly goals. You keep aiming your goals to what you want to do and who you want to become. Right now, my vision is Cinely, so all of my goals are how to advance that. What’s next for Cinely? Right now, we are building real-time video commenting, which will allow people to share dailies and cuts with their team and be able to see the entire team’s feedback in time with the video. We also should have a couple contests by the end of the year, which we’ll be revealing more about soon.